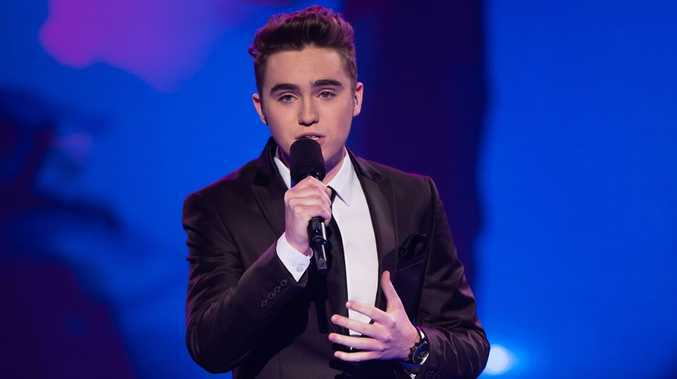 HARRISON Craig has emerged as the firm favourite to win next week's grand final of The Voice. The 18-year-old looks set to lead coach Seal to his second straight win after last night's live semi-final performances, in which Craig charmed the crowd with Unchained Melody and original song More Than A Dream. Online betting website SportsBet has Craig at 1.10 odds, with his closest competitor, former Ten Tenor Luke Kennedy, trailing behind at 7.0. Speaking to APN this morning, Craig said he couldn't wait to perform with Seal in Monday's grand final extravaganza. "To be able to work with Seal is just wow," he said. "Actually doing a piece with him now is amazing. I just can't wait for that." Also in the grand final are flame-haired folk singer Celia Pavey on Team Delta, indie singer Danny Ross on Team Joel and crooner Luke Kennedy on Team Ricky. Speaking of Ricky Martin, Craig said he was touched by Martin's emotional reaction to his original ballad on last night's show. "Seeing Ricky really start crying almost last night, I was really truly just blown away with that," he said. "You could really see that that really touched him and he cares so much for his kids." The Voice grand final airs next Monday at 7.30pm on Channel 9/WIN.